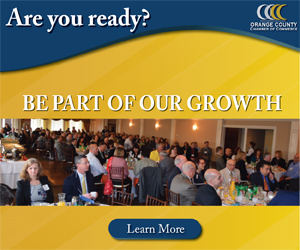 NEWBURGH – Newburgh School Superintendent Dr. Roberto Padilla made his first public comments Monday night following last Thursday’s release of a highly critical Orange County grand jury report. The 96-page report faulted the district’s handling of student athlete attendance, including alteration of their records, for them to continue to participate in NFA sports. 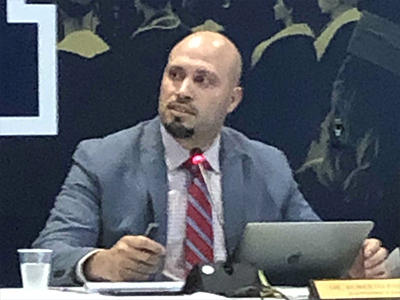 While Dr. Padilla and other members of his team were careful to repeatedly state that they were still digesting the report and that this process would be ongoing, a few bits of information were revealed during the one-hour presentation to the school board. The district is investing $220,000 for a system called ‘ScholarChip’ which will go into effect this fall. The system will require middle and high school students to scan into both the building at the start of the day, and into each individual class. This system will in theory produce much more transparent attendance data not just for student-athletes but for the broader student body. Another takeaway is that while the district appears to be happy with their online APEX learning platform for the time being. Following this report, everything is being reevaluated, said Assistant Superintendent of Secondary Curriculum & Instruction, Dr. Lisamarie Spindler. But, Spindler said if the system is not customizable enough to meet the districts long-term needs of among other objectives manual overrides, caps on the number of quizzes and limits to manually imputed scores, the district may have to look for alternatives. Although the genesis of the report which was the topic of the meeting – student athlete attendance – was addressed in summary, many of the key talking points seemed to be more broadly focused on addressing and improving attendance across the student body. Additional staffing has been and continues to be added to the athletic department to help hold athletes more accountable for attendance. No questions were taken from either the public or the media and only a select number of questions were entertained from board members. The superintendent and members of the board also did not make themselves available for questioning after the meeting adjourned around 8 p.m.